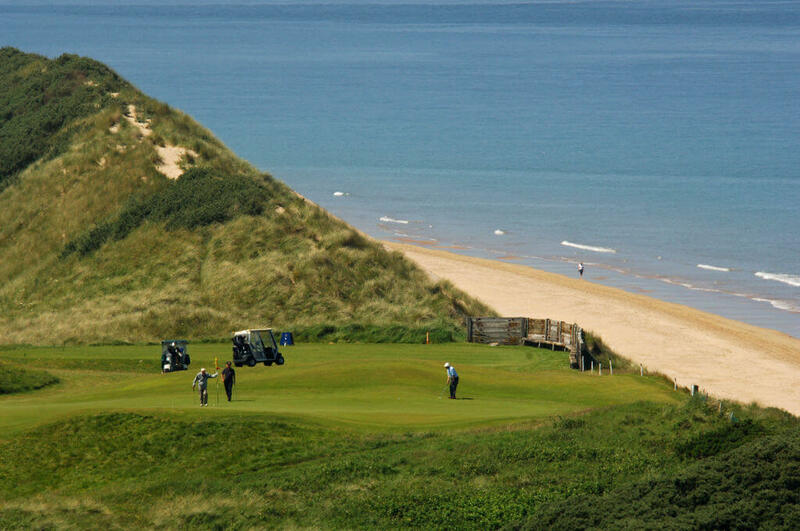 Ever dreamed of teeing off at the famous Old Head of Kinsale or playing 18 holes at Royal County Down? Then look no further. With a long history of chauffeur driven golf tours of Ireland we are the perfect partner for your golf trip. Working with one of the world’s largest golf tour operators means we have over 25 years’ experience in providing quality golf coach hire and have built up long standing relationship with all the famous Irish golf clubs. Share your photos and your scores with your friends on social media with our wi-fi enabled luxury golf coaches. Each golf coach is finished to the highest specifications with individual reclining leather seats, tables, wi-fi, power points and fridges. Everything is at hand for you to relax, play cards, watch a movie, browse the internet or just enjoy refreshments and discuss your days’ golf.